It’s nearly here! The Big Game is only weeks away! Game Day is a day of celebration and what’s a celebration without food? I’ll be completely honest, we aren’t big sports people in the Napping house. I’m probably the biggest sports fan… However, we are big fans of awesome food. And I love sharing amazing food in awesome presentations. 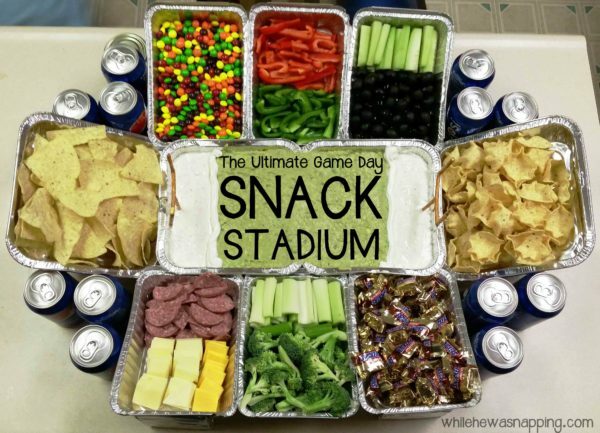 If you do too, I have the prefect answer for how to present your Game Day munchies: a Snack Stadium. – Begin by laying out two of the 8×8″ pans side-by-side. Hot glue the lip of one pan on the top of the other pan. Press the pans together until the glue is cooled. 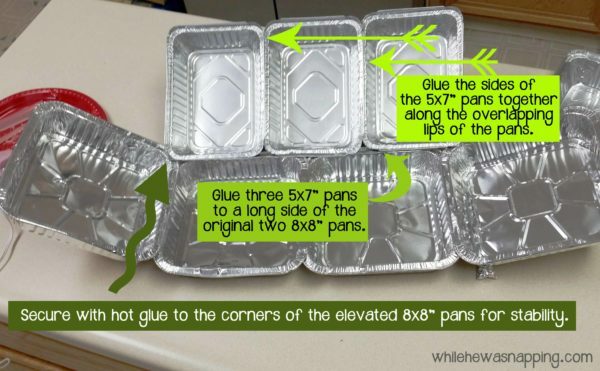 – Arrange the third 8×8″ pan at a slight angle to the two pans already glued together. A 30° angle is about right. This isn’t a math test though so you don’t need to pull out your protractor or anything. 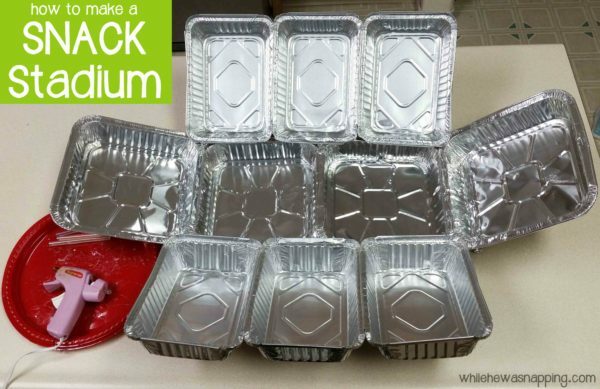 Glue it to the first two pans at the angle. – As I began filling my pans, I found I needed more support on the end of the pan that was elevated. It will be easier to add supports now. I cut cardboard flaps off a box, scored them so they would bend and stand up and then wrapped the flaps in aluminum foil. I glued the aluminum foil support just under the lip on the pan. They worked perfectly. I made six of them. 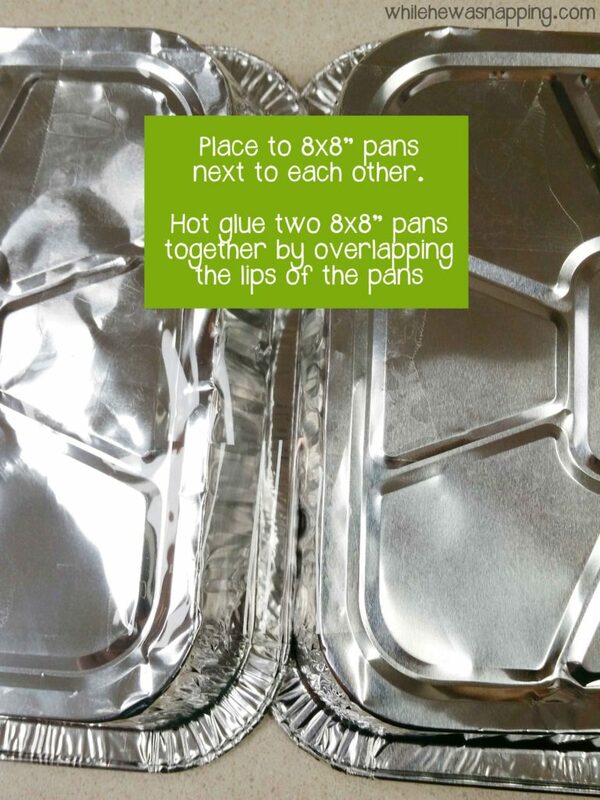 – Glue three 5×7″ pans together by the lips of the pans so they are in a row. – Glue the three 5×7″ pans to the first set of 8×8″ pans with the end elevated to a 30° angle (approximately). 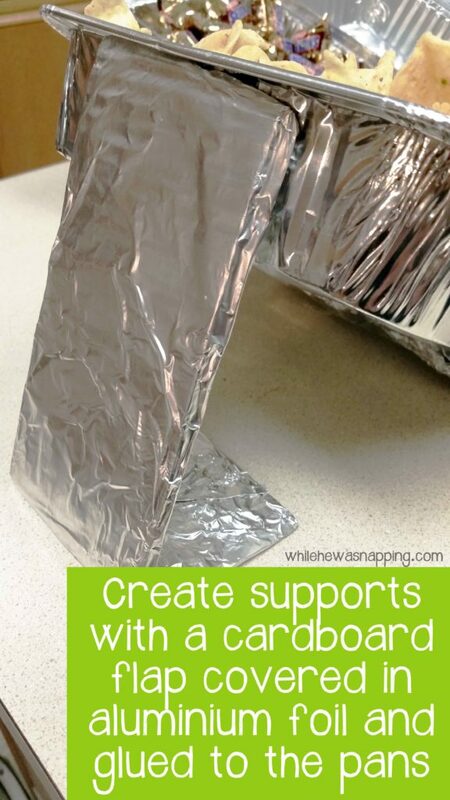 Glue a support on each end of the line of 5×7″ pans. – Repeat the above steps on the other side of the first set of 8×8″ pans. – When you get the remaining pans attached to the first set of 8×8″ pans, the elevated pans will meet at the corners of the original set of 8×8″ pans. Glue the corners of the elevated pans to each other for more stability. – You may also want a few drops of glue attaching the 5×7″ pans to the original set of 8×8″ pans to help hold everything in place. That’s it. Now comes the fun part: filling up the pans with amazing snacks! I used SNICKERS® Minis, Skittles®, a 12 pack of Pepsi™ 12 oz cans, TOSTITOS® Scoops Party Size, and TOSTITOS® Medium Chunky Salsa, all purchased at Walmart, in my stadium and filled in the remaining pans with some of our other favorite munchies. The best part of a snack stadium is that you can put in your favorites! So, start planning your Big Game celebration! 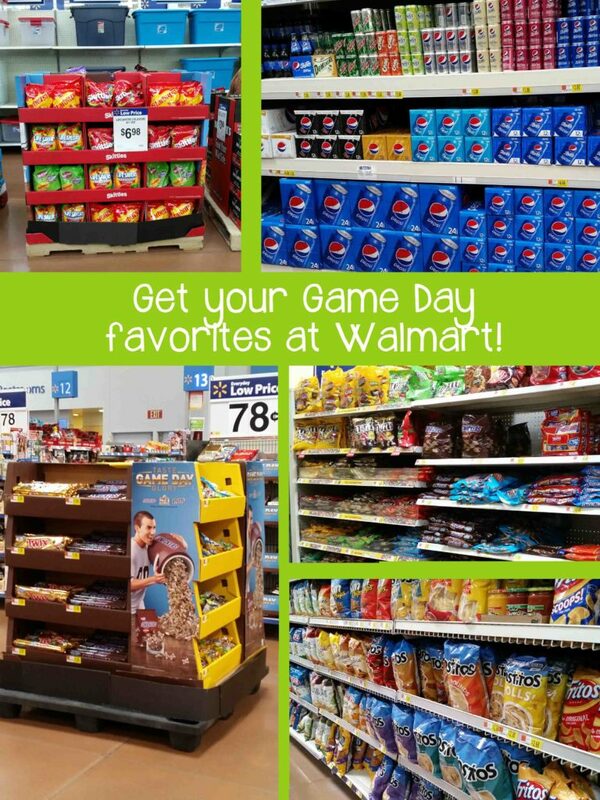 Find all the SNICKERS®, Skittles®, Pepsi™, and TOSTITOS® products you’ll need to make an amazing display on Walmart.com. 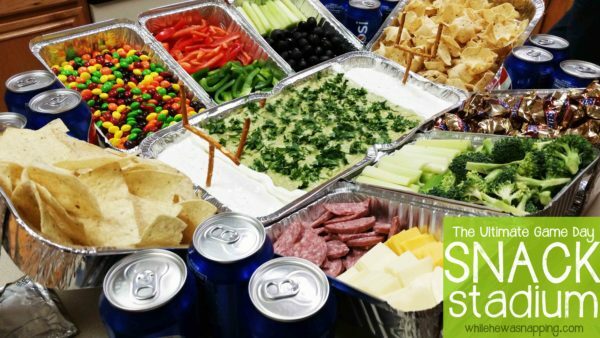 Be sure to check out more amazing ideas to fuel your plans and build the best snack stadium ever!